A few weeks ago I had the pleasure of attending Ai Weiwei’s exhibition at the Art Gallery of Ontario. How is this relevant to tea you ask? Weiwei is a Chinese contemporary artist, and much of his art has political undertones. 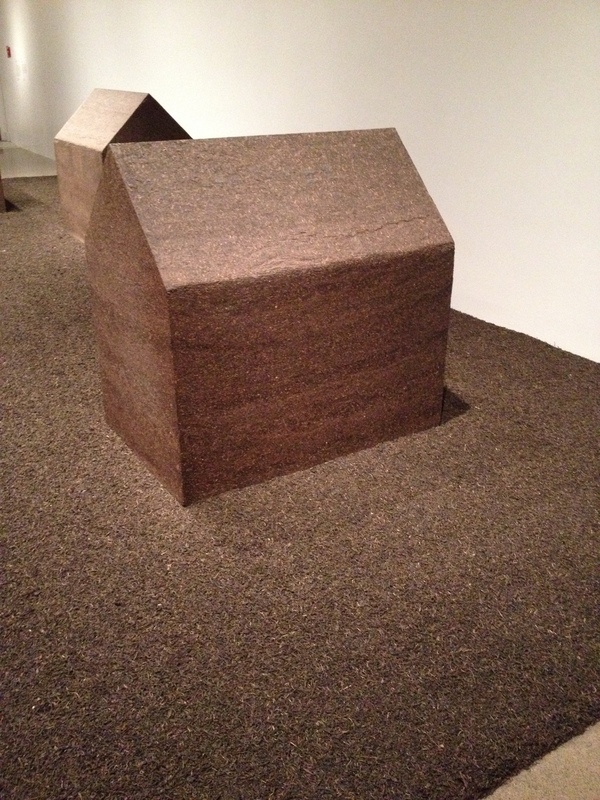 One of his pieces in the exhibition was entitled “Teahouse” and was made entirely out of tea! Three forms moulded into the shape of houses were included, and all were made from solid blocks of Pu’er from China. Each weighed more than a tonne and were surrounded by even more loose tea. Unfortunately, I wasn’t able to touch it, but it did smell delicious. Teahouses can be seen as the social centre of traditional Chinese culture. I would think the artist is playing on the social aspect of tea as well as the political parts of tea farming in this artwork, but as it is contemporary art, I could be wrong. I welcome your interpretation. Though the exhibition is no longer available at the AGO, it will be at the Pérez Art Museum Miami from December 4, 2013 to March 16, 2014.